Axel's business partner, William Stanton, has no head for business and would much rather be a doctor. 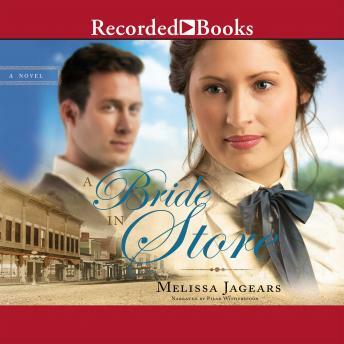 When his friend's mail-order bride arrives in town with no money and no groom in sight, he feels responsible and lets her help around the store-where she quickly proves she's much more adept at business than he ever will be. The sparks that fly between Will and Eliza as they work together in close quarters are hard to ignore, but Eliza is meant for Axel and a future with the store, while Will is biding his time until he can afford medical school. However, their troubles are far from over when Axel finally returns, and soon both Will and Eliza must decide what they're willing to sacrifice to chase their dreams-or if God has a new dream in store for them both.